Easter Bunny Celebration this Saturday! 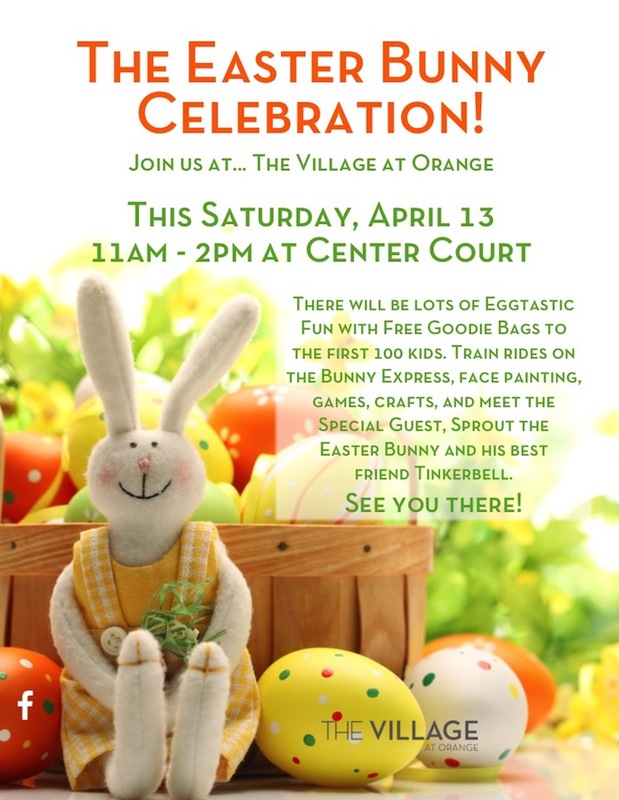 Join us for the Easter Bunny Celebration this Saturday from 11am – 2pm at Center Court! SEE YOU THERE FOR FUN, FREE FAMILY EASTER CRAFTS, GAMES, FACE PAINTING, AND MORE!